When the Pantone fashion color report came out for fall this year, I was over the moon excited to see that blush pink (or ballet slipper as they titled it) was on the list! 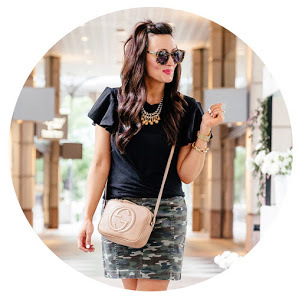 Usually blush is more of a spring tone, but I’m loving it, especially paired with olive green, black and gray tones for fall. Pink has always been one of my absolute favorite colors, so seeing blush pieces trending for fall is right up my alley! 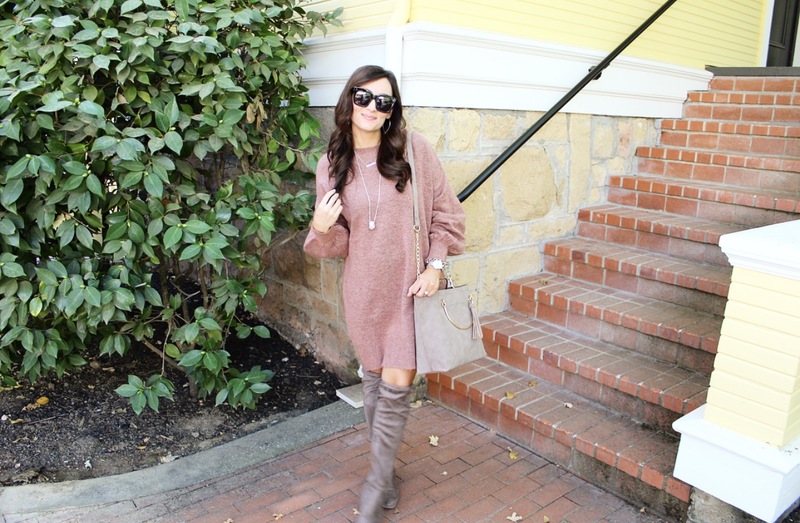 There are tons of gorgeous cozy blush sweaters out in stores at the moment, but one of my favorite blush finds so far has been this sweater dress. It’s cozy, oversized (perfect for hiding that Thanksgiving dinner OR a baby bump!) and the prettiest shade of blush. Did I mention it was comfortable?! UM….well I’ll say it again. It’s comfy! There’s also not much styling that needs to go into this outfit. Throw on the dress, add a pair of booties or over the knee boots, toss on some pretty jewels and you are good to go! These over the knee boots are from last year but I’ve found a couple of similar style here, here and here. All of these options are under $100! 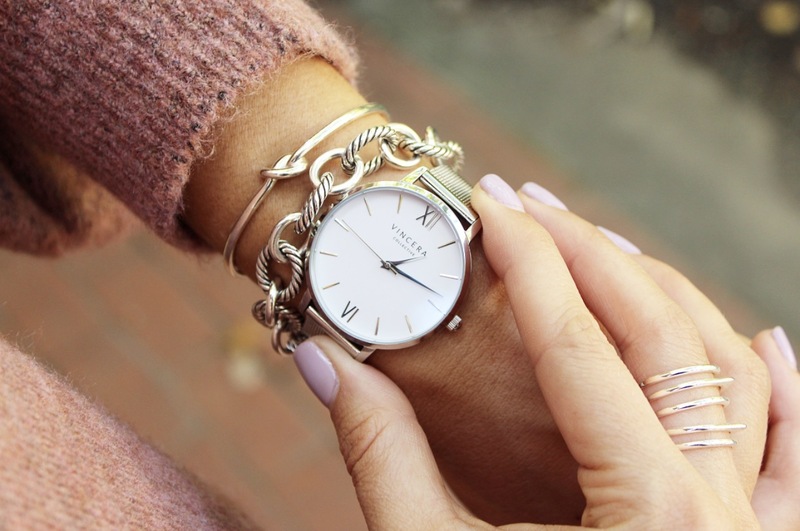 Here are some other blush finds that I’ve been loving lately!